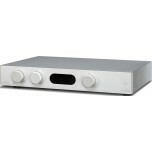 An integrated amplifier goes in between your bookshelf or floorstanding speakers and music source (streamer, DAC, CD player, etc). 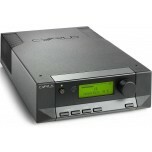 An integrated amplifier combines a "Pre Amplifier" and "Power Amplifier" in a single box. These are the most popular type of amplifiers and offer excellent value for money. Many of the models below are award winners and all are available to demo in our showroom by appointment. 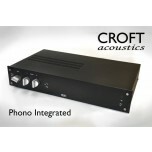 If you need amplifier and/or speaker matching advice, call or email us for advice. 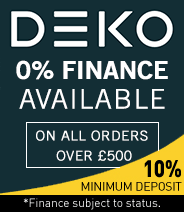 All prices include free UK delivery and we offer low cost international shipping (check prices when you've added the items to your basket). 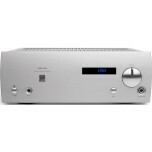 An integrated amplifier is an all in one unit which combines both a Pre Amplifier and a Power Amplifier, eliminating the need for extra boxes and ultimately saving space. 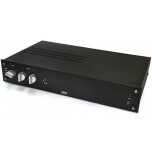 When purchasing an amplifier or hi-fi system on a budget, an integrated amplifier is virtually always the best sounding and most cost effective solution, and many models can sound stunning. 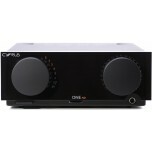 Integrated amplifiers can vary in the technology used, whether that is Class D, transistor or valve amplifiers. 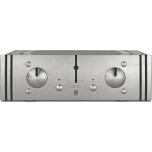 Integrated amplifiers feature speaker terminals to connect to a pair of speakers. These terminals typically accept banana plugs, spade plugs and bare wire, though they can vary so it is worth checking the amplifier offers the type of connection that matches your speaker cable. Naim amplifiers for example only accept 4mm banana plugs or Naim’s own proprietary plugs and therefore cannot be used with bare wire. 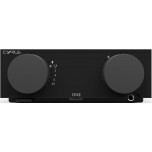 Other manufacturers such as Cyrus also use their own speaker connections, known as BFA, which require speaker cable terminated with BFA plugs rather than spade plugs, banana plugs or bare wire. Some integrated amplifiers feature two sets of speaker outputs, allowing you to switch between two separate sets of speakers or even use multiple pairs simultaneously. 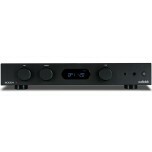 When purchasing an integrated amplifier, just as with a power amplifier, it is important to consider its power rating and whether it is suitably powered to drive the speakers you intend to use. Most speakers are given a recommended power rating, stating the range of amplifier power outputs suitable for optimum speaker performance. 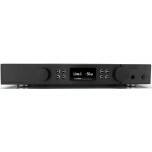 If your integrated amplifier is too low powered for your speakers then the overall sound, impact and soundstage will suffer from your speakers not being driven properly. If an amplifier is too powerful, sound can also suffer and you may even risk damaging your speakers. 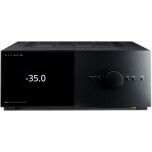 Integrated amplifiers feature a range of input and connectivity options, thanks to the pre amplifier which is included in the design. 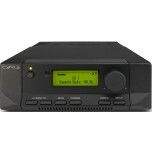 This enables you to connect a range of sources to your amplifier, typically via RCA inputs, although a range of other connectivity options exist. 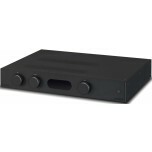 Some amplifiers will feature a headphone output, allowing you to use a pair of headphones rather than your main speakers, making private or late night listening very simple. 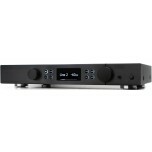 Many integrated amplifiers will also feature a phono input, which enables you to connect a turntable directly to your amp without the need for a phono stage in between. 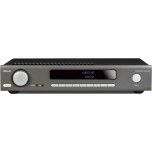 Some models even include an on-board DAC, allowing you to connect digital sources such as a computer, CD player or streamer and enjoy high quality play back. 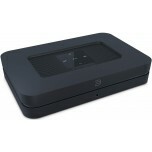 Bluetooth functionality is a recent addition to some amplifiers, allowing you to eliminate the need for wires and direct connection and enjoy the effortless simplicity of high quality wireless Bluetooth playback from a Bluetooth-enabled device.